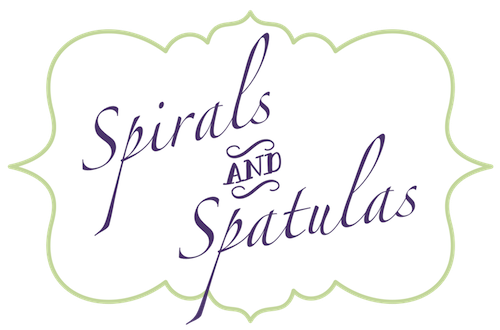 Spirals & Spatulas: Twice the fun! About two weeks ago a new engagement ring came to live at my apartment. No, I didn't change my mind about my ring. I still love it. Ab. so. lute. ly. The new ring belongs to my roommate and bridesmaid, Kristen! And don't you love our vertical blinds? So vintage. Ha. Anyway...Kristen's engagement gave me the chance to bust out my camera and make use of my macro setting again...here's her pretty sparkler. Anyway, I'm excited about engagements and weddings all over again. 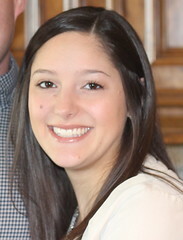 Nothing like the engagement of a best friend to make you enjoy wedding planning again! Now we get to start all over with choosing vendors and whatnot! To make things even more fun...Kristen and Dan are less traditional-formal and way more fun-colorful-eccentric than Jeff and I. Which means that one of those other weddings in my head (you know...the one I would have if I were a teensy bit braver and a teensy bit less stuck on traditions) might get to show its face a little bit in June 2010. Yay! Kristen and Dan's proposal re-enactment. See? Told you these two were fun. I'm so excited to help Kristen plan her wedding...especially since she has the 12+months engagement that I always wished for!! Things are always better with buddies. Especially best friend buddies.